The 7 Best Boat Rentals in North Dakota! In North Dakota, you’ll find pristine, glistening lakes just waiting to be explored. And you can do just that, without the commitment of purchasing a water craft, but renting from one of the state’s many boat rental companies! The state is full of opportunities to swim, fish, and most of all, go for a boat ride. Whether you’re looking for a fishing boat, a leisurely pontoon, or a speed boat, these great rental companies have you covered. Lake Sacajawea is one of the most popular fishing locals in the state. The lake has a well-maintained marina and on a good day the fish will practically jump into your boat. Lund’s Landing offers a variety of boats, available by the half day, day, or week. Canoes and kayaks are also available. All rentals include life jackets. Woodland Resort prides itself on having the perfect boat for your needs. Their inventory includes several fishing boats and a variety of pontoons. All rentals come with fuel, life jackets, landing nets, and minnow buckets. You can rent by the day, half day, or hour. 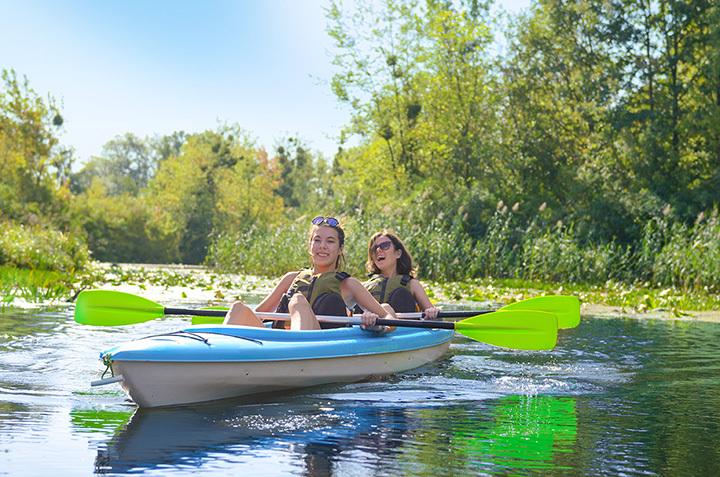 Van Hook Resort specializes in personal watercraft rentals, include stand up paddle boards, fishing kayaks, ultra-skiff personal watercraft, and Maui mats. All watercraft can be rented for either two or four hours. One of the most beautiful parks in the state, Fort Stevenson State Park is located on Lake Sacajawea’s north shore. Fishing boats, pontoons, kayaks, and canoe rentals are available. Grand Forks may not be thought of as a premier fishing destination, unless one knows about the opportunities provided by the mighty Red River. Boathouse on the Red has a variety of stand-up paddle boards, canoes, and kayaks available for rent. Lifejackets are included. Experience the Red River as it was meant to be. Lakeview Lodge rents the newest boats around. All rentals come with a live well, life jackets, an anchor, electronics, an electric trolling motor, a net, safety equipment, and one tank of gas per day. Boats are available by the day or week. Special pricing may be available. Lake Metigoshe is another of North Dakota’s beautiful lakes. It is perfect for fishing, exploring, or just relaxing. Personal watercraft such as canoes and kayaks are available to rent at just $8 an hour.